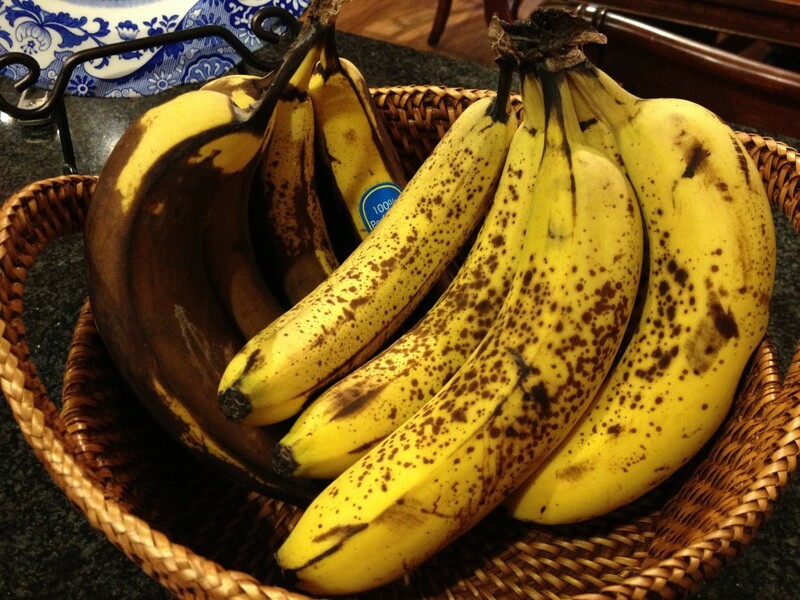 Think these bananas are destined for the trash? Not in TSB’s kitchen! Tip #1: Use them in smoothies! This is the easiest way to use overripe bananas. Slice them into bite-size pieces, place them in a freezer baggie, and pop them into the freezer. Make sure to leave a little bit of room between the slices so they don’t freeze into one giant mass. When I want to make a smoothie I just take as many slices as I need and put them into the blender. The frozen bananas help add a creamy texture. My favorite smoothie to make: Peanut Butter, Banana, & Chocolate. Yum! Slicing bananas makes them easier to pop into smoothies! Tip #2: Make banana bread! This is how I am planning to use my overripe bananas this week. I already have all the ingredients on hand which is an added bonus. The overripe bananas keep the bread moist and sweet! Tip #3: Bake a sweet snack! I make Banana Chocolate Chip muffins every Valentine’s Day for my husband. They became a tradition our first Valentine’s as an “official couple” because we had only been dating a few months and I couldn’t think of what to get him. These muffins are good for breakfast, as a snack, or even dessert! Tip #4 : Freeze’um whole! Can’t decide what to do with them? 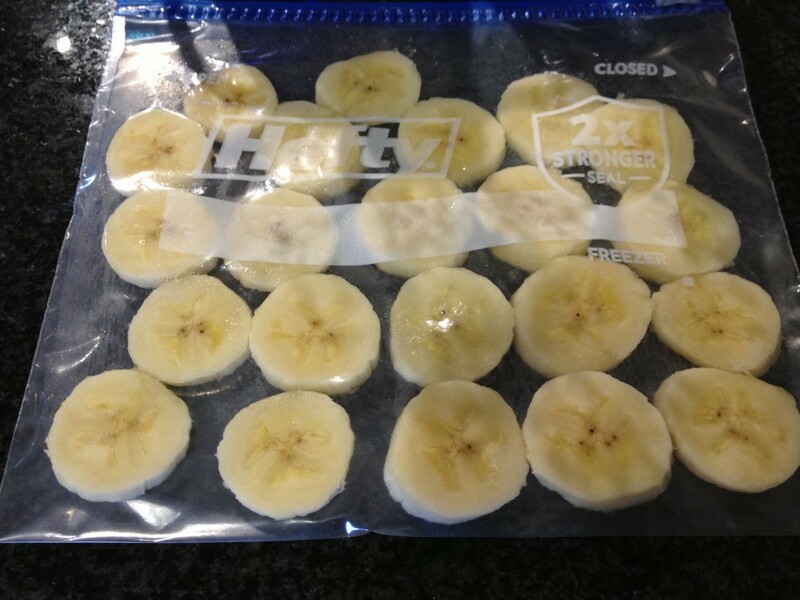 Just put the overripe bananas in the freezer in a zipper-lock freezer bag (peel on) until you know what to do with them. Take the bananas out and let them thaw when you are ready to use them. Now, I am not saying you should eat past-it’s-prime meat or other foods that could make you sick. As always, you are the judge of what you eat and what you don’t. I just hope this makes you think twice about throwing away food! Meal planning day is tomorrow and that means I will be scouring my favorite savvy websites for the best deals at the grocery store. These websites are so important to my meal planning because without them I would have to work much harder and longer to save. So, I wanted to share with you a few of my favorites. These are the top 3 websites I use to find what’s on sale, coupon match-ups, and tons of other deals. If you are just getting in to couponing or are thinking about creating weekly meal plans, these sites can really help you out. They help me every week! This is your go-to website for deals at Publix. I used this website in college and I was able to buy what I needed on a teeny budget. Weekly Ads: This is where most of your savings will come from. Look through all the sale items and write down those you need or use most. Advantage Flyer: These are Publix store coupons that can be used with coupons that come in the Sunday paper. Stack store coupons with manufacturer coupons on sale items to score great deals! Greenwise ad: These are usually coupons for organic/specialty products or produce. You should be able to find all three ads in a stand right when you walk in the door. If they aren’t there just ask customer service! 2. You can create your own shopping list. Look under the My Shopping List Tab. What makes it really awesome is you can add up how much it will cost pre and post coupons! This will help you stay on budget and know how much you are spending before walking in to the store. 3. The website also has a tab for printable coupons. You can get tons more coupons online and just print them out! Usually online coupons offer a bigger variety and they are free! Just be sure your printer has ink! This site is like Wal-mart — it’s a one-stop shop for coupons, deals, and money-saving recipes! 1. Check out the Stock Up tab. This is an extensive list of how much you should pay for items at the grocery store. I really like this list because it’s all on one page and includes many staple items. Note: These are the best prices you can expect to pay, but if you find a good deal and it’s a few cents more I would go ahead and get it. 2. It has a Coupon Database! Say you need an item that is not on sale. Go to the Coupon Database tab. You can type in an item ( I searched yogurt) and it will find all the coupons that correlate with that item. 3. No time to think of meals to cook? Click on Meal Deals under the Recipes tab. She puts up a weekly menu that is affordable. If the ingredients are on sale that week she will usually include coupon match-ups for them! How great is that? One noteworthy aspect of this website is Passionate Giving. The woman who runs this site uses a small portion of her budget each week to help others. Her money goes a longer way with coupons! This is the site I use to save at the grocery store and at the drugstore. Her sale and coupon match-ups help me save 60% off my grocery bill! She has an online tutorial for couponing at grocery stores and at drugstores! It’s important to know the stores’ coupon policies before you go in. 2. Sales and coupon match-ups for tons of stores! The sales search feature allows you to look for an item you need (ex: toilet tissue) and the site will find where that item is on sale and if there are any coupons to go with it. This really helps when you need just that one thing! When I started couponing one of the hardest things to figure out was how much I should spend on a specific item. Routinely, this website will highlight an item (we will use the toilet paper example again) and tell you how much you should be paying per roll. This is extremely helpful and keeps you from spending more money than you have to. This tool really helps to save on staple items. I hope these websites help you out with saving as much as they help me. I don’t know what I would do if they didn’t take the time to find all the great deals! My husband and I had a much needed date night this Valentine’s Day after weeks of recovery from surgery. We had planned to go to a restaurant in Dilworth, but when we called to make reservations they told us they would only be offering a set menu with a fixed price. So, we decided to try a restaurant that we had never been to before. A few of our friends told us about Zio, a casual Italian restaurant off of Queens road, so we thought we would try it out. They don’t except reservations so we arrived early just in case. The only negative thing I have to say about this restaurant is the parking. We witnessed two minor fender benders just in the parking lot! Once we got inside, we only had to wait 10-15 minutes to be seated. Not bad for Valentine’s Day and not having reservations! Our waiter was prompt and was very knowledgeable about the wine list. The wine was moderately priced with a variety of whites and reds. I went with a buttery Chardonnay while my husband chose a dry, earthy red. And that’s all I know about wine. Once we had our drinks we looked over the menu. I had done a little research to find out what other people ordered and loved. The Beef Spiedies (pronounced speedies) came highly recommended, so we ordered them for an appetizer. But before they arrived, our waiter brought us a basket of warm, home-made bread with olive oil for dipping. Oh my! I could have filled up on bread alone. I’m sure it was very unromantic of me to scarf down the complimentary bread, but this girl loves carbs! Especially, if they are home-made. Okay, enough about the bread. The Beef Spiedies lived up to the hype. They are bite-size pieces of steak, cooked to medium, and put on skewers. The steak marinade was excellent, although a bit vinegary. For the main course, we both chose the grilled pizzas. I ordered the grilled pear and Gorgonzola pizza with arugula and smoked bacon. My husband chose the grilled pizza with sweet Italian sausage and roasted red pepper. Both pizzas had thin crispy crusts that held up to the plentiful toppings. I would have never thought to put pear on a pizza, but it was delicious! The soft, sweet pear perfectly paired with the smoky bacon and peppery greens. The Italian sausage and red peppers were also delicious, albeit more traditional toppings. We each had half a pizza leftover! After debating if our stomachs could hold it, we ordered the Tiramisu. It came in a glass sundae dish and was perfect for splitting! The custard mixture on top was very sweet, but still creamy and rich. The strong espresso and chocolate took the edge off the sweetness, making for a delicious end to an outstanding, affordable Italian feast! Total, with tip, we paid just under 60 dollars and had almost a whole pizza leftover! We will definitely be visiting Zio again! Alright guys, this one is for you. I’ve had a few requests for recipes that require just a few ingredients and that are easy to prepare. This recipe is a perfect match and is just in time for the big game this Sunday. *Note: The ribs are baked for 30 minutes before putting them in the slow cooker to give them extra flavor. Season the ribs well on both sides with garlic salt and pepper. Cut the ribs in half (see picture above). Place both pieces in a baking dish. Bake the ribs for 15 minutes on one side and then flip them and bake them for another 15 minutes. Carefully, put the ribs in the slow cooker. Pour the BBQ sauce over them (I used about half the bottle). Use a spoon to rub the sauce into the ribs making sure to cover each piece on both sides. 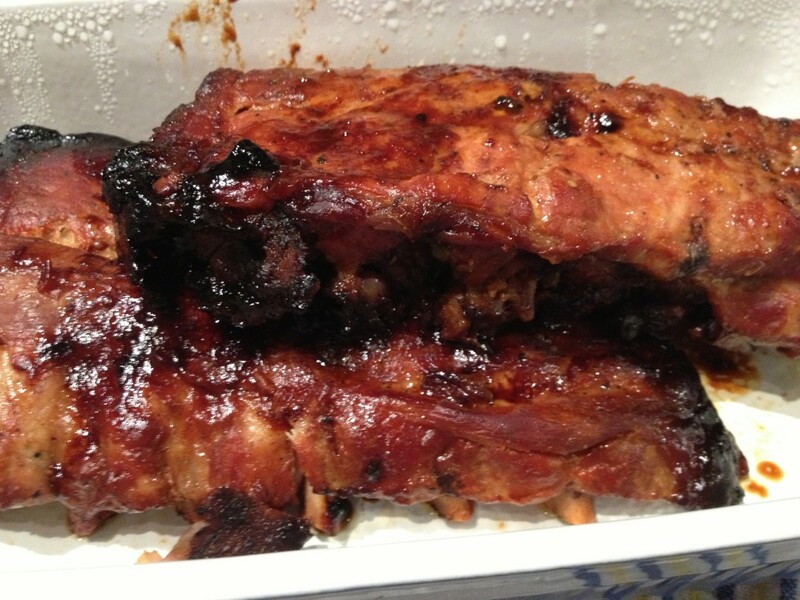 Tip: You may be tempted to take a peek at the ribs while they cook, but don’t! When you take the lid off the slow cooker you will let out precious heat and the food will take longer to cook. Enjoy the smell not the sight! 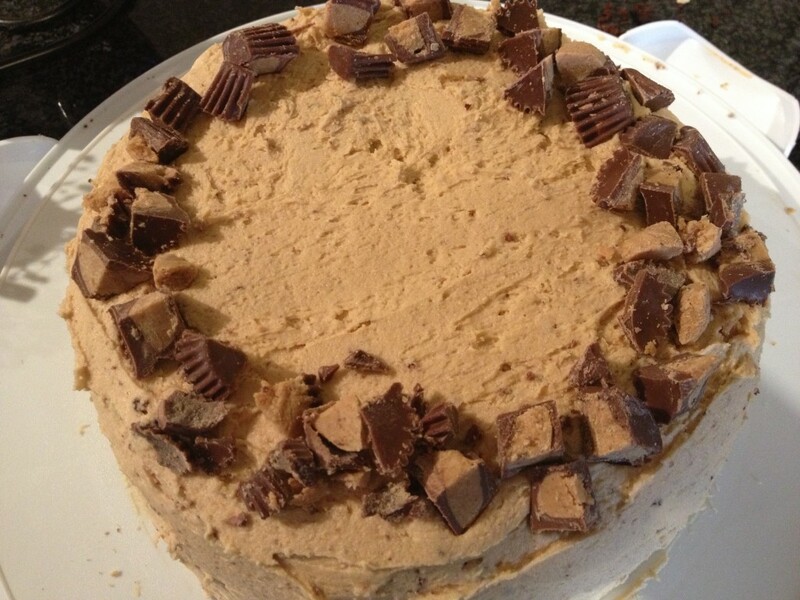 This recipe was made with love by TSB but was created by passionatepennypincher.com. This recipe lives up to it’s name. I was hesitant to make it at first because my husband doesn’t like mustard, but boy am I glad I did. These chicken thighs are the dish he requests the most. 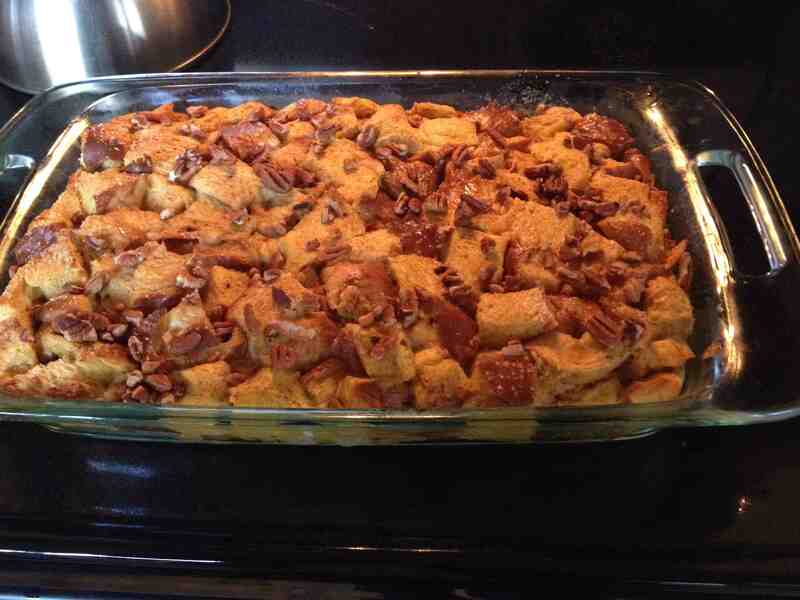 This recipe is extra-pleasin’ to me because it’s easy to prepare and easy to clean-up! Plus, I can do other things while it’s in the oven. I think next time I will let him make it! I love a short ingredient list! The directions aren’t much longer! Preheat the oven to 450 degrees. Line a 9 x 13 glass dish with aluminum foil. This makes for easy clean-up later! In a 2-cup measuring cup, measure and combine the Dijon mustard, maple syrup, and cider vinegar. Mix until combined. Place chicken thighs in the prepared dish. Sprinkle with salt and pepper. Pour the mustard mixture over the thighs, leaving about 1/4 cup for later. Use tongs to turn the thighs in the mixture so they are evenly coated. Bake the thighs in the preheated oven for 40 minutes or until the internal temperature is 165 degrees. Halfway through the baking time, carefully pour the remaining mixture on the thighs and put them back in the oven. Let them rest 5 minutes before serving. Sprinkle chopped rosemary on top and Enjoy! Notes and serving suggestions: Save money and buy bone-in chicken thighs with skin. Just make sure to remove the skin before Step 3. I usually serve this dish with either mashed red potatoes or roasted broccoli. The earthy flavors compliment the sweet and tangy chicken. 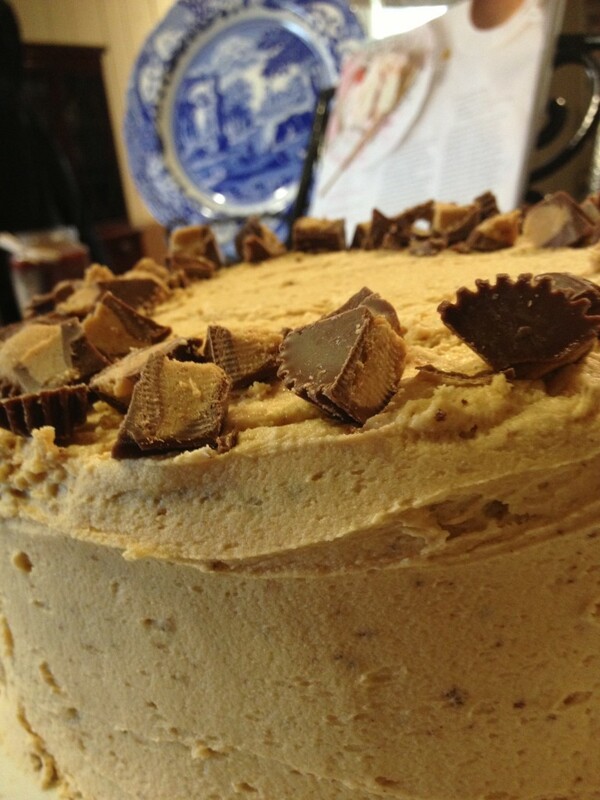 Note: Click here for the link to the original recipe. It was adapted from a Trader Joe’s cookbook. It’s creamy and delicious! I added a little extra freshly ground black pepper to mine. The chicken is cooked on the grill and is very flavorful. We wanted to cook out, but didn’t want hamburgers and hot dogs. This is the dish I always request my dad to make and now it’s my turn! I have never tried the sweet potato recipe, but roasting vegetables is easy and requires minimal ingredients. That’s my kind of dish! My grandmother gave me this recipe. It is so simple to put together. The hardest part is peeling the shrimp! 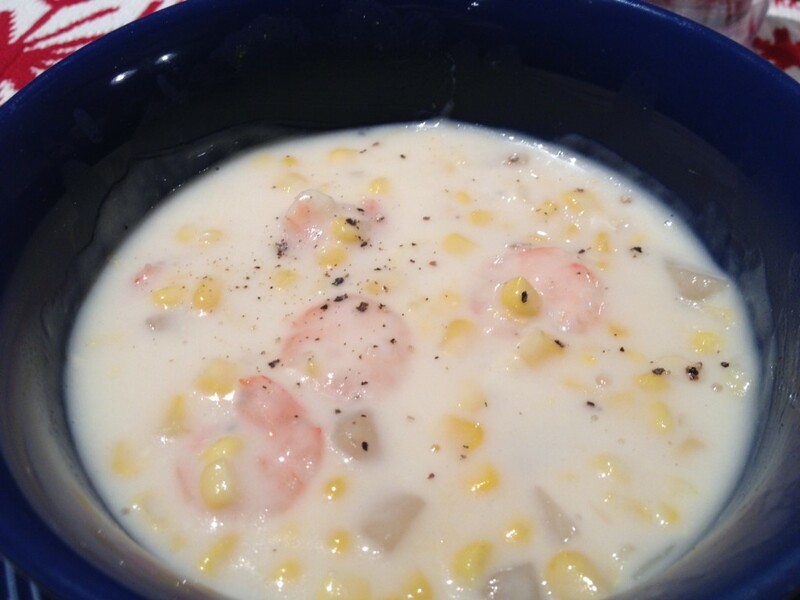 This chowder comes together in under 30 minutes and you only have one pot to clean! How’s that for a quick meal? I will have these recipes up soon! I just wanted to give you a sneak peek into what I am planning for next week!